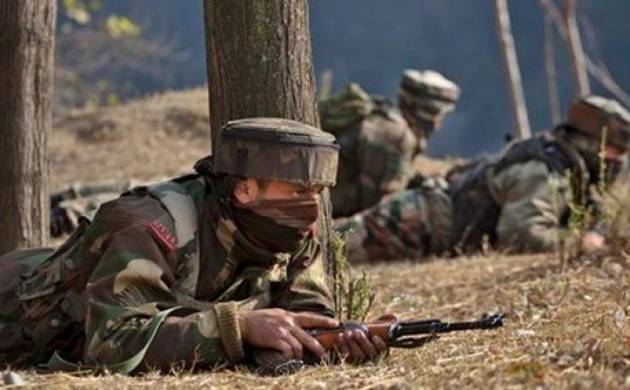 Two Terrorists have been killed after they opened fire at a police party in Handwara district of Jammu and Kashmir on Monday. Two Terrorists have been killed after they opened fire at a police party in Handwara district of Jammu and Kashmir on Monday. In the exchange of fire, one security personnel sustained injuries. Militants opened firing at a police check post at Sultanpora in the Zachaldara area of Handwara, 100 kms from here, a police official said. The policemen retaliated, killing two militants, he added. The identity and group affiliation of the slain militants is being ascertained, the official said. On November 9 militants shot at and injured a policeman in Anantnag district of Jammu and Kashmir, police said. The ultras shot at special police officer Ranbir Singh, who was posted on duty near deputy commissioner's office, a police office official said. Singh was hit by a bullet in the abdomen, was taken to 92 Base Hospital of the Army here.